During a Ladies of Distinction Meeting at LBJ ECHS, Sheila Hawkins Bucklew from Hawkins Bucklew Jewelry Designs came to talk with the girls about her entrepreneurial journey and what she has learned along the way. During her JA Launch Lesson Sheila shared how she went from a real estate to a jewelry entrepreneur and how perseverance plus a clear vision along the way helped her achieve her dreams. She encouraged the girls to be confident and determined, and never take their eye off of the vision they have for themselves. Through this session the girls shared their passions and gifts to see how they align and what they are doing to grow towards their goals. Sheila also highlighted how entrepreneurship gives women options to do and be whatever they want, and that there is a community supporting you; “The best thing about entrepreneurship is that we are collaborators, not competitors!” This group of ladies are the next generation of attorneys, doctors, educators, entrepreneurs and leaders in their community. We are so thankful to Sheila Hawkins-Bucklew for spending her time with them today and for the Ladies of Distinction for having a JA Launch Lesson. We can’t wait to see what companies these ladies start! Interested in learning more about the hospitality and entertainment industry? Join us on January 28th for a Junior Achievement Job Shadow in partnership with the International Association of Amusement Parks and Attractions (IAAPA). During this afternoon participants will get a behind the scenes look at how Austin’s Park n’ Pizza operates. Learn the ins and outs of the different aspects of this business, then participate in the working session with members from IAAPA. This is an opportunity to learn this business from the inside out. Participants must be able to provide their own transportation to the venue. Thank you to all of our volunteers, board members, donors, teachers and students for making this year great! Read our 2017-18 program newsletter to meet some of the 6,000 local students, including 385 teens who started and ran a business, who we served with your help. JA Start Up Summer Incubator keeps students engaged and new ventures emerge. During June, JA students worked through their business ventures as part of A Glimmer of Hope Austin's investment in our programs at LBJ High School. Program participants learned the fundamentals of entrepreneurship, worked on new ventures, received mentorship and worked on prototyping new ideas. This week Junior Achievement of Central Texas with African American Youth Harvest Foundation were able to team up to take a group of students to visit AT&T and participate in their Aspire program. This program serves to inspire students to reach their full potential, learn about what it takes in the working world and receive mentorship from AT&T employees. While on site students were able to tour the facility and learn more about all of the jobs that are available, as well as experience the unique and fun culture in the office. Students were able to shadow different departments throughout the day to experience what a day in the life of an AT&T employee feels like. Human resources pitched in by helping the students craft their resume and shared their inside tips and tricks for job hunting and interviewing.This is a chance for students to see what opportunities lay in their own back yards, and hopefully gain some insight into what it takes to land the job and be a great employee. JA is so thankful for our partnership with AT&T and that they are so open to share their wonderful office and experience with us. Thank you for helping inspire and build the future of Central Texas. ONZ, a JA Company, from Round Rock High School has been selected as one of 15 teams to compete at the Junior Achievement National Student Leadership Summit (NSLS) in Washington, D.C.! On June 18th, the students traveled to the nation’s capital to compete with teen entrepreneurs from across the United States for the top honor of JA Company of the Year, and college scholarships totaling $35,000. Companies must demonstrate their business acumen, creativity and entrepreneurial thinking in a competitive environment on a national stage—showcasing their companies to Members of Congress and business leaders. Stay tuned to hear more about their trip and their experience! 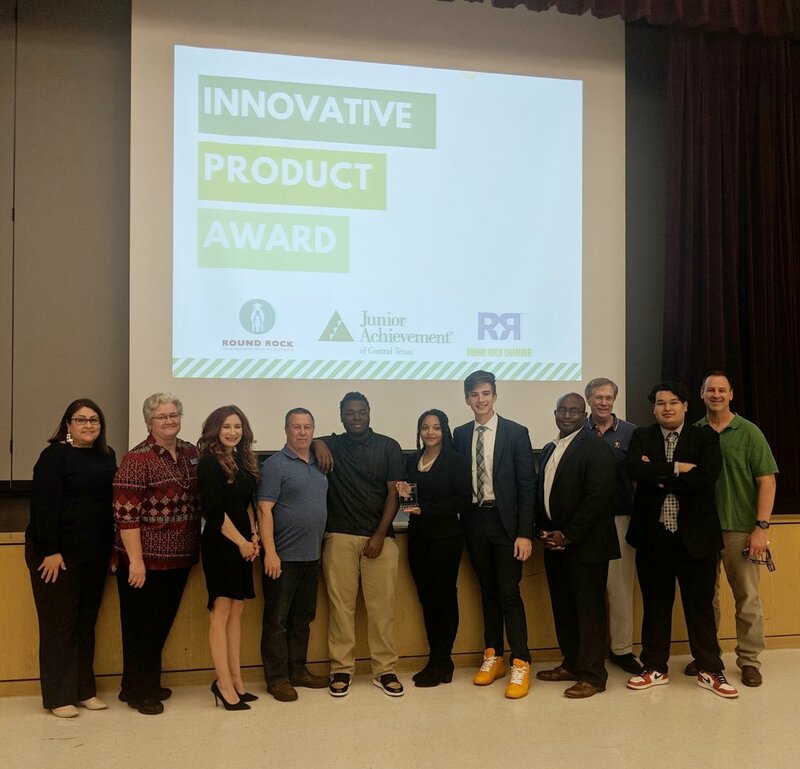 On Thursday, April 5th, JA in partnership with the Round Rock Chamber and Round Rock ISD, co-hosted the first annual RRISD Entrepreneurship Showcase. The showcase featured the five student-led companies that were launched during the 2017-2018 school year and provided an opportunity for students to deliver a final executive summary of their company's performance to their peers and the community. Prior to the 2017-2018 school year, RRISD high school students had access to only one semester of entrepreneurship education. With an expansion in offerings, high school students now have access two semesters of entrepreneurship education and are able to participate in the JA Company Program that provides them with the skills and tools to launch their own companies. Through this expansion with Round Rock ISD and a partnership with the Round Rock Chamber Junior Achievement has been able to serve over 100 high school students with entrepreneurship programming. Finally, thank you to our teachers who opened their classrooms and went on this crazy adventure with us. You have been the greatest support system for their students, and volunteers through the ups and downs of running a business. Thank you so much for allowing us to work with you and your students, we cannot say enough about how hard you work and how amazing you are. Thank you to Diane Wedig, Vera Cruz, Tiffanie Harrison and Bob Moliski. We also want to take this time to thank our wonderful JA volunteers as well. These community members have volunteered countless hours to deliver the JA Company program to their classes, answer emails, help sort out bank accounts, you name it! They are the best mentors and sounding boards that we could ask for to lead this program. Thank you for all of your dedication and support, without you JA would be nothing. Bill Taylor, Dennis Menendez and Mark Richardson. 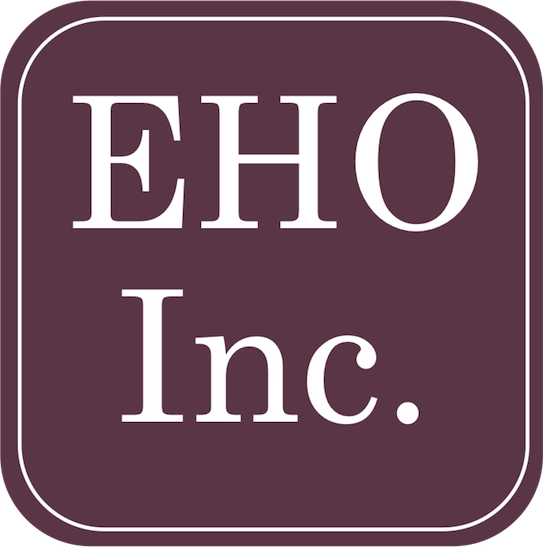 This week on March 28th and 29th there was an under the radar public offering. Students participating in the JA Company Program at Travis High School hosted their first IPO Days. During their class periods six JA Companies pitched their business to local business leaders in hopes of raising the funding necessary for their products to get off the ground. This event gave our students the opportunity to interact and communicate with business people from the community, practice their pitch and presentation skills, as well as opens an opportunity to raise capital for their companies. With a wide array of products, from bracelets and t-shirts to earphone holders and board games, there was a company for every interest. Not only were students given the opportunity to pitch their company to the public, they also received feedback and guidance on some of the aspects of their company that they were having difficulties with. At the end of these two days we are happy to report that all companies have reached their fundraising goal and are ready to take the next step in creating their companies! FactSet and Junior Achievement will bring more financial literacy programs to local students in Austin. Through their new national partnership, FactSet, a financial data and software company, will use their expertise to help local students learn more about owning their future. FactSet will deliver programs to promote financial literacy among students in Austin that align with their corporate goals and footprint. With JA alumni at the helm nationally and locally, they are getting to give back to an organization that they learned from and see what it is like in front of the class. JA of Central Texas is excited for this new partnership and the opportunity to reach even more students in the Austin area. Would you like to be part of a group of leaders, heroes, and energizers and learn how to expand and enhance your organization's involvement with JA? By encouraging colleagues and friends to learn more about inspiring kids through JA, you can empower them to step out of their normal routines and make a positive difference in our community. Please join us on January 18th from 11:30-1:00 for our 2018 program kickoff lunch. During this time you will meet others who coordinate JA at their firm, and learn more about upcoming JA opportunities- inside and outside the classroom. We will also be sharing best practices and hosting a Q&A for a great start to the new year. A Glimmer of Hope Foundation will fund new entrepreneurship programs for 100 LBJ students in 2018. Students will complete the JA Entrepreneurship track - JA Launch Lesson, JA It's My Business and JA Company Program in 2018. The grant includes funds to support a robust summer program so that we can serve the students over multiple school years. A typical day in a JA entrepreneurship program is anything but typical! Students will spend 60-90 minutes in a hands-on session with their JA volunteer introducing key concepts and supporting them through group work. One day students may be brainstorming possible ways to make dog toys from plastic grocery bags or misprinted t-shirts from a local company, another they may be discovering resources they have which they may have previously seen as barriers. Each week, students develop more skills and more confidence. They begin to see they have value, that all work is honorable, that their community cares about them as individuals - understanding their dreams and helping them reach their potential. We are very thankful for this investment to expand our JA entrepreneurship programs, and can't wait to begin serving the next generation of entrepreneurs at LBJ Early Collegiate High School. The girls of Bertha Sadler Means YWLA take over the Capital Factory! After working hard all morning, a pitch team enjoys lunch with pitch judge and Altatudes founder Alta Y. Alexander. Sylvia Cento of RetailMeNot and Adrianna Cantu of Revealix coach the young women on their go-to-market strategies. Ashley Reed, JACT board member and the Director of Talent and HR at Bulldog Solutions, works with her team to get them to best communicate their pitch concept. JA volunteer and pitch coach Caroline Reaves-Powers of Carol Dochen Realtors Inc. asks students thought provoking questions, encouraging them to refine their business ideas. Automatic pet feeders, personal styling apps and flying shoes were just a few of the ideas pitched at the E2 Intensive held at Capital Factory by the eighth grade students from Bertha Sadler Means Young Women's Leadership Academy. These young women participated in the six week program JA It's My Business! at their school which culminated in this special opportunity to work with professional women to perfect their pitch and participate in a pitch competition at the E2 Intensive. The E2 Intensive is part of the ongoing special program E2: Entrepreneurship & Empowerment for Young Women that was launched last spring. The E2 program is an opportunity for young women to have the Austin entrepreneur experience while networking with inspiring and diverse professional female role models, empowering them with self-confidence in their own abilities. These young ladies now join the over 5,000 students in the Austin area that participated in JA programs last year, of which 350 students started their own businesses. This event is one of many during the month of November in celebration of National Entrepreneurship Month sponsored by EY. (Austin, Texas) —Today, Junior Achievement USA and The Hartford announced that Junior Achievement of Central Texas is the recipient of the JA Innovation Award. The JA Innovation Award was established by The Hartford to reward JA Areas which have effectively implemented the JA Company Program® in an innovative way that has significantly increased the number of students reached and that can be replicated by other JA Areas. JA of Central Texas was one of two JA Areas from a field of 20 to receive a $25,000 award presented by The Hartford during Junior Achievement’s Global Leadership Conference in Atlanta on July 20, 2017. The JA Company Program unlocks the innate ability in high school students to fill a need or solve a problem in their community by launching a business venture and unleashing their entrepreneurial spirit. The program focuses on helping students build and manage their business with the support of volunteers from the business community. Meeting-specific, student-friendly materials and resources increase student interaction and emphasize JA’s experiential approach to learning. The Round Rock Chamber today announced a partnership with Round Rock Independent School District (RRISD) and Junior Achievement of Central Texas (JACT) to bring select entrepreneurship curriculum to four comprehensive high schools in the district. In order to prepare its next generation of business leaders, the entrepreneurship program is designed to equip youth with the positive traits associated with successful entrepreneurs, such as independence, resilience, business acumen, and more. The courses are being offered this school year through the RRISD Academy programs. The entrepreneurship capstone course in the marketing tract will now go from one semester to an entire year-long class during the student’s senior year. “Junior Achievement programs have been changing lives for almost one hundred years. Their curriculum is excellent and continues to evolve to remain relevant in today’s society, and we appreciate RRISD’s willingness to embrace it.” Amy Mizcles, the chamber’s vice president of community enhancement. Last year, the chamber launched its REV UP Round Rock community entrepreneurship strategy. One of the nine recommendations from the white paper includes cultivating K-12 partnerships to foster entrepreneurship opportunities for students. To help fill this need, JACT will bring twenty-five new volunteers to mentor students in the RRISD entrepreneurial programs. Fact: Did you know research shows that women are half as likely as men to start businesses, yet women make great entrepreneurs? Well, the women at Dress for Success (DFS) are making strides to beat this statistic. These amazing women, who are part of the Going Places Network at DFS, recently went through the JA Be Entrepreneurial program. After the participants learned how to identify a market need, understand their customer base and comprehend competitive advantage, they finished up by learning how to develop a business plan for their small business! The JA Be Entrepreneurial program was a perfect complement to DFS’s financial literacy and career readiness curriculum. And if starting a business isn’t in the immediate future for the participants, the entrepreneurship skills they learned will help them become more marketable job candidates. More and more employers are placing a high value on employees with an entrepreneurial mindset because these employees tend to be more attentive to the needs of an organization and understand both customer perceptions and ethical dilemmas more fully. JA and DFS have similar goals, to empower people to own their economic success. JA is looking forward to continued collaboration with DFS to help more of their clients develop entrepreneurship skills.